Assemble the ultimate Nexomon team to save your friends and save the world! Clash against legendary champions and become a hero in this epic journey! •	Over 300 Nexomon to catch and train. •	Evolve your Nexomon into new and powerful forms. •	Universal App! Play on your iPhone, iPod or iPad. •	iCloud support. Backup your data and play on all your devices! 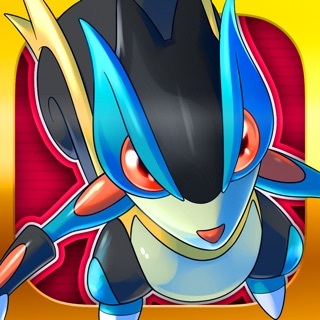 •	Get exclusive Nexomon iMessage stickers! •	A deep and engaging battle system. •	Mighty and unique legendary Nexomon, find all eight of them! •	Embark on an epic adventure to save the world from the Nexomon King! •	Battle powerful and challenging foes in the Nexoworld. •	Select from seven unique starters. •	Explore all 10 colorful and vibrant regions. 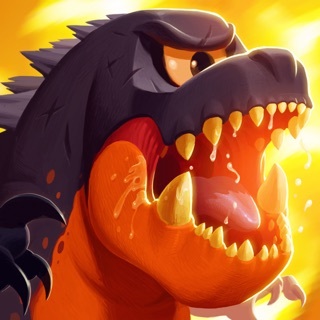 •	Fully animated monsters, prepare to enjoy the most exciting battles! •	High Quality gaming experience like no other! This update fixes an issue with our Support System on iOS. If you already have version 2.5 and don't require support, you may ignore this update. Ziegler and his Wardens are invading your world! After you complete the Netherworld chapter, you'll see the dozens of minions spawn across the world. Defeat them all to claim the Wardens for yourself! This update also includes iPhone XS and iPhone XS Max resolution fixes. One of my fondest memories was spending hundreds of hours playing the original Pokémon games. Nexomon, while having a lot of similarities to Pokémon, feels like something unique. Something special. I spent pretty much most of my free time playing this instead of actually gaming systems. It was actually something that pulled me in so much that I spent a couple nights where I only got about 3 hours of sleep before work. If you’re looking for something to remind you of the good ol Pokémon days, or even just a good game for younger kids that haven’t jumped into similar games yet, this is an amazing choice. The humor is spot on, they have amazing references to other pop culture things, and the game is very self aware it’s a game. The story is actually pretty nice and engaging as well. There are only a handful of faults that I can find, and most of that has to do with the cash shop in a paid game. Nothing in there is needed, so you can ignore it, but it is annoying because you will have two big buttons on the top right hand side the whole time you’re playing. These buttons take a lot of space and are only there to make sure you’re aware there is a cash shop. The game is so good that you’ll forget they are there for most of your play time, but when you notice it, it’ll get under your skin. The game is so good that I would honestly just pay for a full $20 release. A refreshing monster-collecting and battling RPG adventure. The storyline is enchanting and the characters are well designed and likable. The designs of the Nexomons are original and the animations are very smooth. The game isn’t P2W (pay to win) which is really nice. The extra purchase options will make the game easier, faster, or adds more customization options, but they’re not necessary at all to complete the game. The soundtrack is rather beautiful: relaxing at times and intense when appropriate. The creators and the team did a great job at developing this game and creating this universe. I only have a small issue with the game, and that is with the battle system. The statistics of the monsters isn’t well explained. Battling is very fluid for beginners to this genre of games, but could be very awkward for more advanced players. Most monsters don’t have very diverse strengths in stats with others of the same rarity level. Abilities/moves also don’t have an adequate description. You only know the energy costs for the moves, but the game doesn’t provide its Power or Accuracy. Also, status inflicting moves have a ridiculously low percent of landing. If the developers can change up the battling mechanics, this game would be perfect.